Collecting anything is fun—somehow any group of objects always equals more than the sum of its parts. Personally, I prefer groups of three. That’s enough to show differences and similarities at the same time. But there is another reason to collect, and to collect specifically in a narrow category: Your efforts could wind up in a museum. 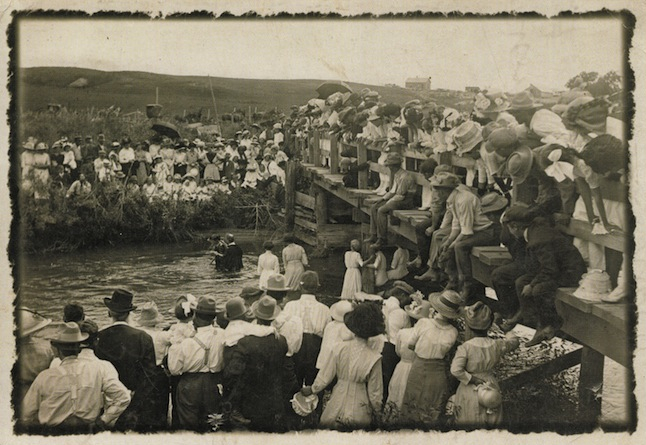 An exhibition called “Take Me to the Water: Photographs of River Baptisms,” which was curated by Erin Barnett, assistant curator of collections at the International Center of Photography in New York City, includes many photographs I’ve collected. It opens on January 21, 2011, and runs through May 8. Over the course of 10 years, I collected every photograph I could find of people participating in the ritual of immersion baptism. Most of these original vintage photographs are pre-1950. Many are Real Photo Postcards, which is the focus of the exhibition, but there are numerous large albumens, too. One is a yard long and shows hundreds of spectators watching a mass baptism. It’s quite a spectacle, and one of the show’s centerpieces. Initially, I found my baptism photos at flea markets and such. If I spotted one while browsing through boxes and baskets of photographs, I treated it like a prize and filed it away at home. When eBay came along collecting became much easier—it was just a matter of searching on a subject term every week or so. Soon I had enough baptism photos for a good display, and eventually I had enough for both a book and a museum show. 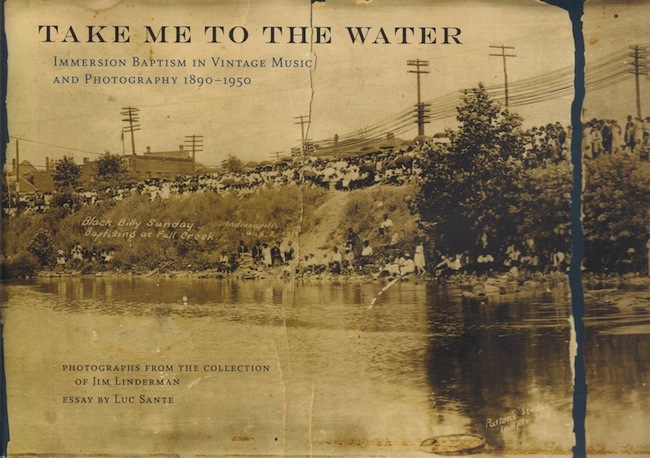 The book was packaged by Dust-to-Digital in Atlanta (a splendid reissue label of primarily old-time music and blues) along with a CD of remarkable gospel songs having to do with being baptized. It turned out great and was nominated in 2010 for a Grammy in the Best Historical Album category. Even more fortunate, the International Center of Photography agreed to accept my donation of original baptism photos, some 150 of them, for its permanent collection. So, now the photos are not only preserved, they will remain together for all to see. The point is that I collected in a very narrow field with a particular, specific project in mind. This can be done by anyone! I always tell my friends to pick one area and collect it relentlessly. Not only will it make a nice collection, whatever it is, but the group will one day be of interest and value to others. To me, that’s the essence of collecting—assembling a group of like objects and sharing them with others. Today, many of our museums are playing catch-up. It’s always the individual collector who assembles groups of similar objects, who does the legwork and the research, and who makes the material available to others. In my case, I’ve also benefitted, although hardly financially. Rather, it’s an honor to have my contribution recognized by others. So pick an area, make it narrow, and own the category. For example, I know a woman who collects huge novelty rings of sideshow and circus giants. I have another friend who collects foot pedal “fuzz box” machines for guitars. It doesn’t matter what you pick, but be relentless and persistent. Find something no one else is collecting, and then get them all. You’ll soon have an archive. And when you give them up, I’ll come see the show!